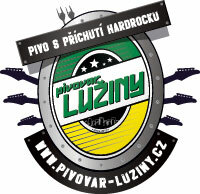 The Lužiny Brewery (est. 2013) is an independent microbrewery with technology for an annual output of up to 2,500 hl of beer and is probably the first microbrewery in the Czech Republic which was based in a classic shopping center. The operation of the brewery, brewery restaurant, and beer bar with terrace are located on three floors of the Lužiny Shopping Center near the Lužiny metro station in Prague. All Lužiny beers are unpasteurized and unfiltered, free of any preservatives, foam stabilizers, dyes, or other chemicals. Production uses only the highest quality ingredients available. Pilsner type lagers: 11.1° light and 12° Lužiny amber, German-type 13.7° Semi-dark special, Belgian 14.5° Lu Ale, and a special pilsner 14.5° Beerstriker. Also a variety of seasonal specials with gravity up to 16.2° (Brown Ale). You can find your favorite pub where Lužiny beer is tapped at the brewery’s website under the link “Where on tap”. Tours available by appointment. Price of the tour is 100 CZK/person. The tour includes a 0.3-liter mug with the brewery logo. Always at the turn of November and December, the brewery organizes a brewery evening whose main component is a beer relay, unplugged rock concert, and a rich raffle.